Catch Animal Radio in bite-size pieces. 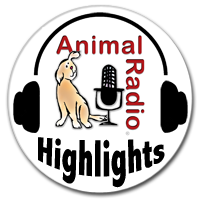 Introducing Animal Radio Highlights available from iTunes and iHeart Radio. Kelly Matthews has granted her first interview to Animal Radio to talk about breaking-up dog theft rings. Her business, CritterCops.net locates stolen and lost pets. Up until now, she's feared going public because of retribution from thieves she's exposed. She'll tell us what it's like tracking down stolen dogs. Hill's brand pet foods expands their recall after the FDA encouraged further testing of additional lots of food. The irony is that high levels of Vitamin D produce symptoms similar to those the prescription foods are indicated for. In other words, Hill's K/D Kidney Diet is supposed to help dogs experiencing kidney failure - which is also what happens with too much Vitamin D. Dr. Debbie expresses grief that Hill's did not alert veterinarians of the first recall. This is an incredible FAIL for Hill's. As the pet food segment continues to grow at break-neck pace, it's no wonder that manufacturers are pulling out all the stops to market your pets food to you with little relevance to the pet's health. Now, on the heels of the Vegan trend, pet food makers are offering Vegan alternatives for both cats and dogs. Cats are obligate carnivores and must eat meat to absorb necessary amino acids. The Tombot Puppy is the latest therapy robot pet to offer the kind of unconditional love that dogs are known for. 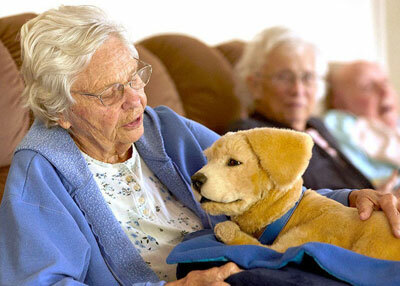 The golden Labrador retriever robot pup barks, wags, and responds to touch, providing emotional support to seniors, people with dementia and anyone who can't have a live pet. Tombot's creators wanted the robot to look and behave as close to a real dog as possible, so they enlisted the help of Muppet's creator Jim Henson's Creature Shop for the design. When it comes to providing food, health care and other necessities for our pets, we apparently are not skimping. A new analysis shows we spent $3 billion more on our pets last year than we did the year before. The American Pet Products Association annual report shows pet lovers in the United States spent $72.5 billion on their pets in 2018, which is a 4% increase. Read more about this week's show. Does Your Dog Really Love You - Or Food? Are our dogs trained to show affection in order to get food and treats? Do they really unconditionally love you, or would they "kick you to the curb" for bacon? Animal Researcher Marc Bekoff answers these burning questions and more. He says we can 'unleash our dogs,' metaphorically speaking, by allowing them to roll in dead worms. You're lucky if you get to work with your pet. You're even luckier if you can combine your passions for the ideal job. Merebeth Veit has two passions - wanderlust and a love for animals. She dumped her real estate job for transporting pets nationwide. She's driven hundreds of animals to their destination while sightseeing the country. And yes, it pays the bills. 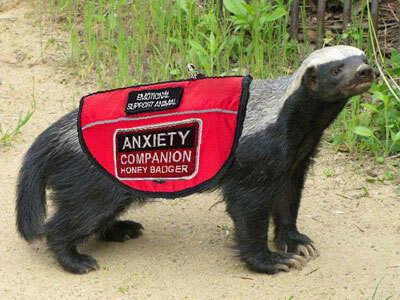 Many people claim their pet is an emotional support animal to get out paying certain deposits when moving into a new rental home. In Florida, State Senator Manny Diaz has spearheaded a bill that aims to crack down on those falsely calling their pets emotional support animals. Those who break the law could be fined up to $500 and possible jail time. A company called Kove that specializes in recycled plastic garments has now created swimming trunks or shorts for dogs. Each pair of swim trunks is made out of eight plastic bottles. It also includes Spandex for some stretch, which is also a quick-drying material. The company also makes a men's swimsuit made of identical fabric. Many celebrities have gotten into the cannabis business, such as Whoopi Goldberg, Snoop Dog, Melissa Etheridge and now Martha Stewart. 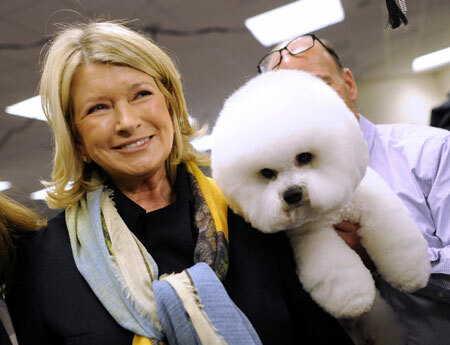 At 70-years-old, Martha says she is, "Delighted to establish this partnership …and share with them the knowledge she has gained after years of experience in the subject of living," adding she is especially looking forward to their first collaboration, which will offer sensible products for pets. It's that time of year when kids are choosing the college they want to go to. Now, many kids will be able to choose a school that will let them bring a pet. In Pennsylvania alone, several universities have unveiled pet-friendly policies, setting aside a portion of campus housing so students can bring their pet with them. Officials in the west Germany town of Ahlen are defending their decision to seize an indebted family's pet pug and sell it on eBay. They state the move was a last resort because they were unable to find anything else to take that had value. The town's treasurer was quoted as saying the seizure of the dog was legal and only happened after other nonessential household goods had been taken. The family in question had allegedly failed to pay its debts to the town, including a dog tax. 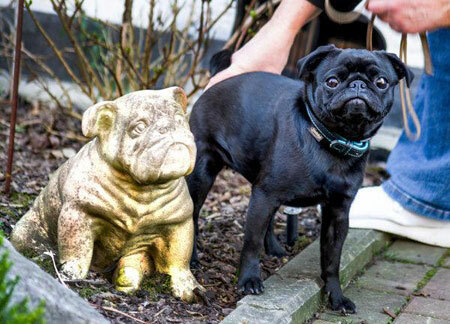 The black pug, named Edda, was sold online for 750 euros or $854. A former NASA employee in Portland Oregon is raising money to send the ashen remains of his pet cat into space. When Steve Munt retired from his job at NASA, he began studying animal nutrition and owned seven cats. His orange tabby named Pikachu died from pancreatitis in January. So far he’s raised $1,450 of the $5,000 cost using a company called Celestis, which says Pikachu will be the first cat it's memorialized this way. 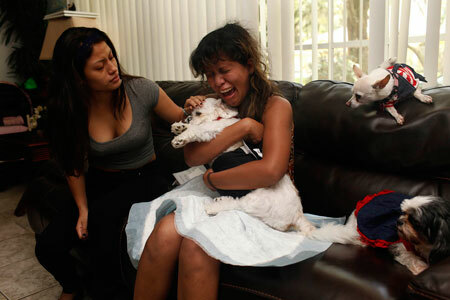 Rover.com and the WAG app have come under a lot of criticism lately for their transparency about several pet deaths. We speak to attorney Robert Tauler who is currently suing former Baywatch actress Angelica Bridges and Rover.com for negligence. 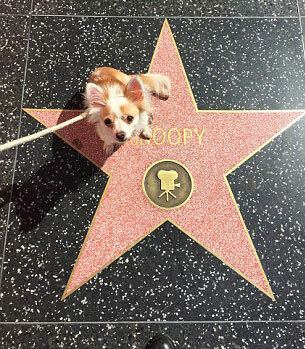 Apparently the actress was the pet sitter during an incident with the plaintiff's dog. Michelle Gaylord tells us how she organically grew her business into a celebration of the lives of pets. From the simple pendant that contains cremains to wine glasses made with your pet's ashes, she'll talk about some of the more unique ways people have chosen to memorialize their pets. Under a new bill introduced in the State House, pet parents will be required to microchip their pets in order to get opioid painkillers for their pet. The politician who wrote the bill says it is an attempt to stop addicts from fraudulently obtaining narcotics for their pet to feed their own addiction. Minnesota is testing a system using microchips in pets that, when scanned, would tell them if another vet just prescribed opioids at another clinic. States such as Colorado and Maine require vets to look at a pet owner's past medication history before dispensing opioids or writing an opioid prescription. Photojournalist Ross Taylor's latest project captures the last moments between humans and their pets prior to euthanasia. Admittedly a difficult subject, he explains his mission as a guide to assist those going through this process. We've all seen pictures of dogs and their owners who look alike. Now there's a study that has found that dogs resemble their owners in an entirely different way, meaning their personalities actually tend to be similar. A highly agreeable person is twice as likely to have a dog that is highly active and excitable and less aggressive than someone who is less agreeable. The study also found that conscientious owners rated their dogs as more responsive to training and neurotic owners rated their dogs as more fearful. The hypothesis is that part of it is the dog you pick and the other part of it is the dog it ultimately becomes because of you. Born with Muscular Dystrophy, Tabitha Bell was told she would need a wheel chair by the time she was 12. Instead, she got a balance & brace service dog. 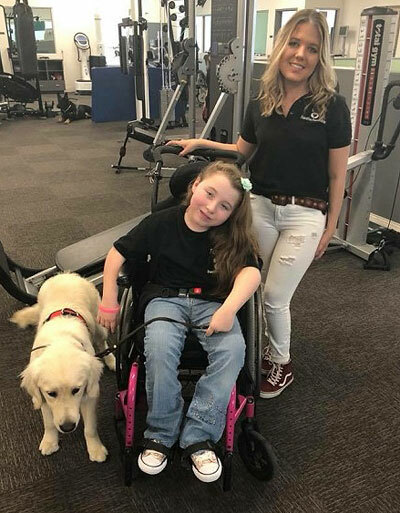 The human/dog partnership was so successful that she decided to start her own non-profit to help match service dogs with those that may not be able to afford the $10,000 entry level. Tabitha tells us that she's working on matching a 6-year old diabetic with a dog that can alert someone when blood sugar spikes. You know your dog needs exercise, but is it getting enough? The average adult dog needs at least 30 minutes of exercise each day to stay fit and healthy. A study by the dog food company Forthglade, reveals that less than half of dog owners walk their dog on a daily basis, with the average weekday walk being under 20 minutes. After the passing of fashion designer Karl Lagerfeld, his cat Choupette, is expected to inherit at least some of the designer's fortune. Prior to his passing, the 85-yr-old Lagerfeld told a French magazine that his cat is an heiress. Lagerfeld had an estimated net worth of up to $300 million and his cat will likely inherit at least a portion of that. It's estimated 68% of U.S. households, or about 85 million families, have a pet. 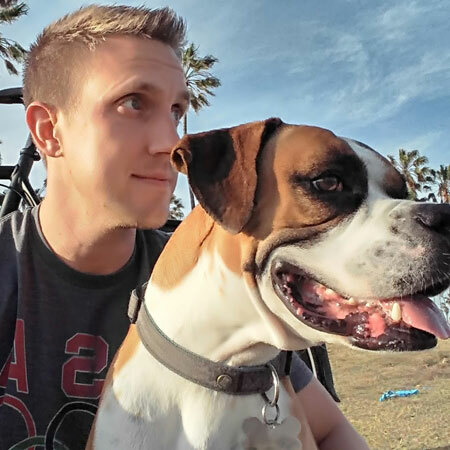 When those 85 million pet parents hit the road, they can either take their pet with them, or have someone else take care of the furry family member either in their home or a boarding facility. That's where "pet resorts" or high-end kennels come in such as the D Pet Hotels in Los Angeles. They offer boarding, daycare, grooming and even chauffeur and boutique services. For boarding, your dog might enjoy the Uber suite, a 12' x 22' room with a queen bed and 42" TV. Animal Radio's Dogfather Joey Villani warns against casual use of the popular grooming kits available at your pet store. Joey says, improperly used, besides giving your dog a bad haircut, you can easily burn their skin. "Take your pets to the groomer instead." Is Joey trying to drum up business for professional groomers nationwide? 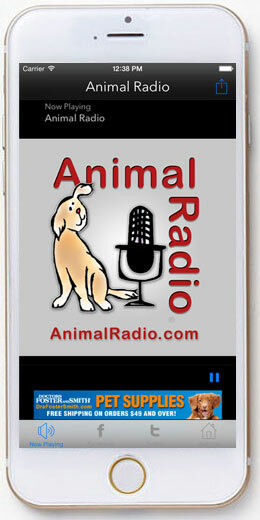 Listen to Animal Radio LIVE anytime with the FREE Animal Radio App for iPhone / Android. Plus, you'll get notifications anytime there is a recall or news that affects you and your pets. Copyright 2001-19 Animal Radio®, its logo and Animal Radio Network(TM) are registered trademarks of Animal Radio Network LLC. All rights reserved. 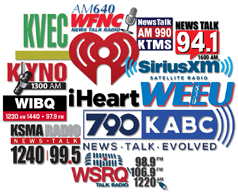 Submissions for newsletter, programming, editorial comments and opinions may be sent to: YourVoice@AnimalRadio.com. See our website for additional information.